interested in playing at dodge? 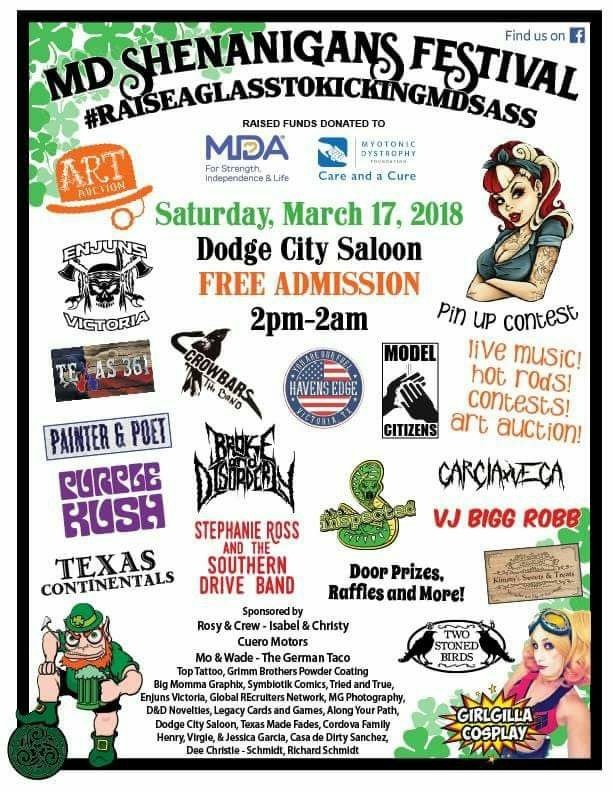 Wanna Play at Dodge City Saloon? Open from 2pm-2am. NO COVER $3 Fireball/Margaritas/Chamoy Shots until Midnight!! High Energy Experience in Victoria, TX! If the word "saloon" makes you think of images of mustachioed banditos cutting loose to straight whiskey and player piano tunes, then get ready to check your olde-time visions at the door! Dodge City Saloon upgrades the saloon experience for the hard-partying 21st century and turns it up a notch. Boasting the hottest and wildest wait staff in Victoria, TX, this is the go-to location for a great night out. Dodge City Saloon has some of the hottest upcoming artist in the area and if you think you have what it takes, come out for our awesome Karaoke nights! Copyright © 2019 Dodge City Saloon, all rights reserved.